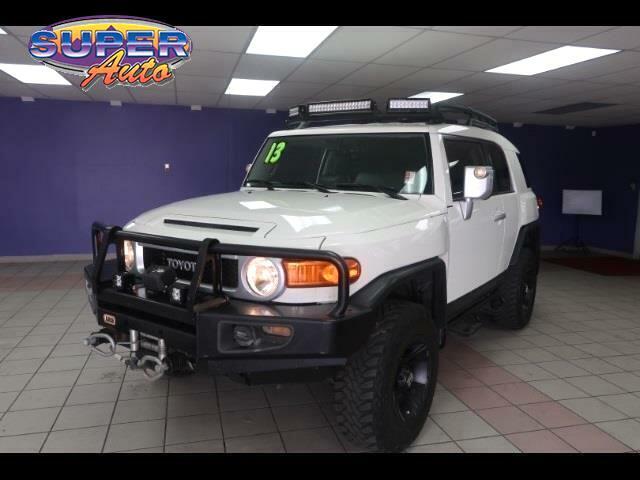 Used 2013 Toyota FJ Cruiser 4WD 4dr Auto (Natl) for Sale in Denver CO 80204 Super Auto Company, Inc. Features: **RUNNING BOARDS**, **CARFAX GUARANTEED**, **TOW PACKAGE**, **TINTED WINDOWS**, **4X4**, 4.0L V6 DOHC VVT-i 24V, 4WD, Silver Metallic, ABS brakes, Electronic Stability Control, Illuminated entry, Low tire pressure warning, Traction control. Odometer is 8477 miles below market average!